Edit-a-thons are meetups of new and experienced Wikipedians who come together, laptops in hand, to contribute to the online encyclopedia. Editors can write new articles or fact-check, expand, and add citations to existing articles. These events are also opportunities for Wikipedia users to network and share resources and research. People of all experience levels are welcomed to edit-a-thons, and “how to edit” tutorials are offered to train people in the basics of contributing to Wikipedia. Friday’s edit-a-thon focused on women and tech, and attendees were invited to work on articles for female artists who use technology in their work. Within this theme, women of color and female artists presenting at this year’s Current:LA biennial were highlighted. The goal of focusing the edit-a-thon on these artists was to promote ongoing art events in Los Angeles and to encourage diversity in Wikipedia content. Women—as both subjects and editors—continue to be underrepresented on the online encyclopedia. 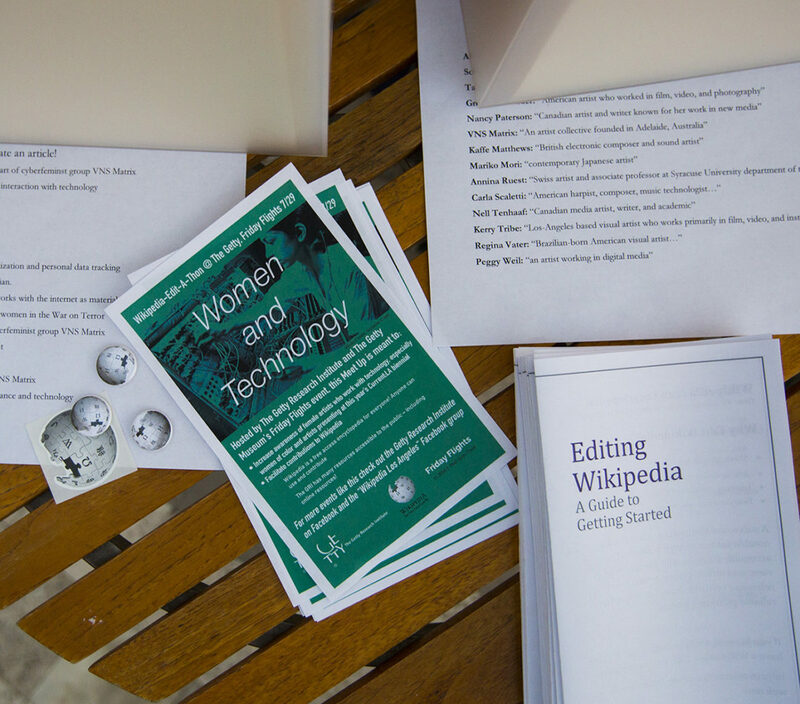 The edit-a-thon utilized the resources of the Getty Research Institute in the form of books and articles on women artists made available for editors to use when creating or updating articles. 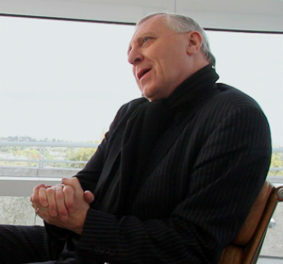 Editors were also able to bring their own materials to work with. Vere Ramirez, a Getty Multicultural Undergraduate Intern, worked on planning the event and gathering research for editors to use. She said she was excited to contribute to Wikipedia and also to “show people who might have never considered editing a Wikipedia page how simple it really is.” At the edit-a-thon I got to learn about the interesting ways some female artists are using technology and enjoyed contributing to the public record of their work. 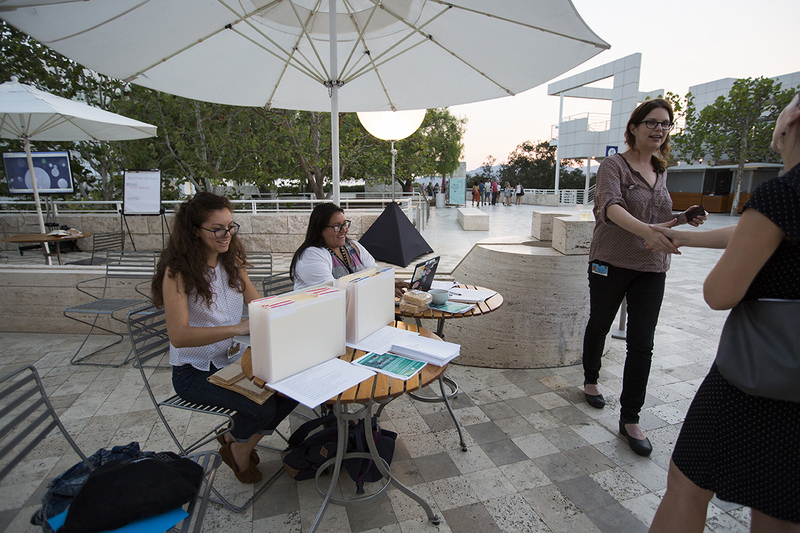 The Getty Research Institute has hosted edit-a-thons before, but this was the first one held in collaboration with the Museum’s Friday Flights series. 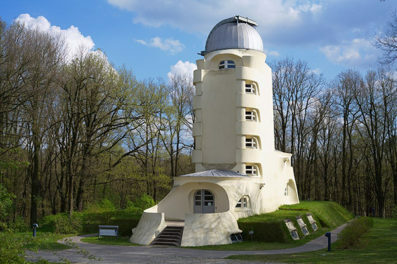 Many visitors who stopped by the area where the event was taking place hadn’t ever edited a Wikipedia article, but many of them commented on how frequently they use the website. Another benefit of being part of Friday Flights was introducing people to the resources of the Research Institute—the library’s reference desk and periodical reading room are accessible to the public, and has many resources available online. If you’re interested in editing Wikipedia, edit-a-thons are a great way to learn the basic skills and get started contributing. To hear about future edit-a-thons happening at the Getty, follow the Getty Research Institute on Facebook. For the greater LA area, meetups are posted on the Facebook group page Wikipedia Los Angeles. I'm a 2016 Multicultural Undergraduate Intern in Special Collections at the Getty Research Institute. I study History and American Studies at Cal State Long Beach.